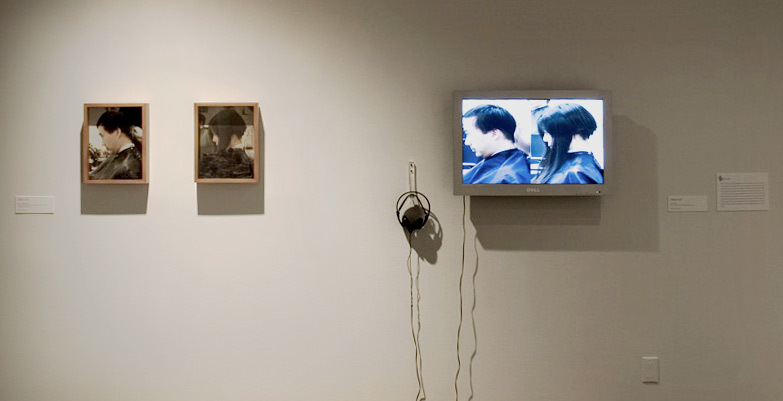 Hair project is a performance project on video and photo installation. The juxtaposed videos in Haircut show Yoon Cho having a long shoulder length hair cut down to the same length of hair as her husband’s. The physical transformation of haircut reflects the assimilation of individual identity into that of the marriage. 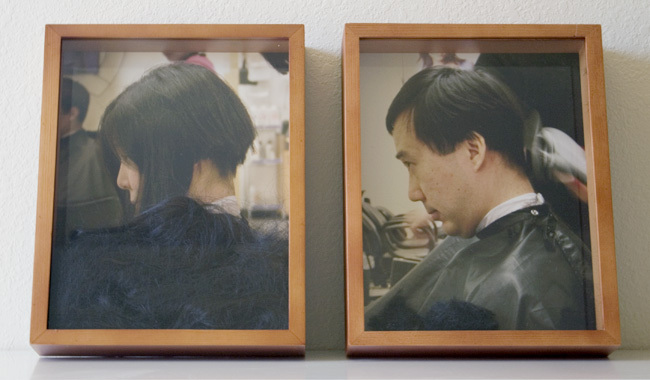 Hair in the Box contains the photographs of the couple getting haircut along with their hair in the shadow boxes.